When my daughter travels for Lacrosse tournaments, we always ensure that we grab any supplies and toiletries well ahead of time, as the days before she leaves are often filled with extra homework, practice and other preparations. As seasoned pro now, for packing for her travels, she remembers to give me her supply list ahead of time. As I looked over her latest list, filled with the usual: snacks to keep her fueled up, as well as assorted beauty and bath products, I paused upon seeing deodorant on her list. Our family has been challenging ourselves to take our personal and household items to the next "green" level, and, in the process, have become more thoughtful and conscientious in many of our purchases. Just beyond October, National Breast Cancer month, I had recently read an article, citing growing concern over women's use of traditional deodorant products. Although the American Cancer Society is not issuing warnings about women's use of traditional deodorant and antiperspirant products, they do acknowledge that the presence of aluminum in most mainstream deodorants may possibly be a factor, contributing to a change in the estrogen receptors in the breast. This has the potential for concern as estrogen can spur the growth of both cancerous and non cancerous breast cells. Studies have looked at the aluminum content of breast tissue, and aluminum absorption through the skin, but no clear link to breast cancer has been made. Researchers continue to look at this possible breast cancer risk factor, and more studies are needed. With this in mind, out of both love and concern for the well being of my daughter, as well as myself, I decided there were plentiful reasons to explore safer choices and too few reasons not to. Beyond the possible contribution to the development of breast cancer, there are simply ingredients in most deodorants that need not come in contact with our bodies. Before shopping, I took a moment to explore the ingredients in the deodorants currently in our home. What I discovered was quite unappealing. While I was not confident about the safer selections I might find at Walmart, I was determined to make the effort. The selection of deodorants was massive, with numerous brands, styles and formulas. 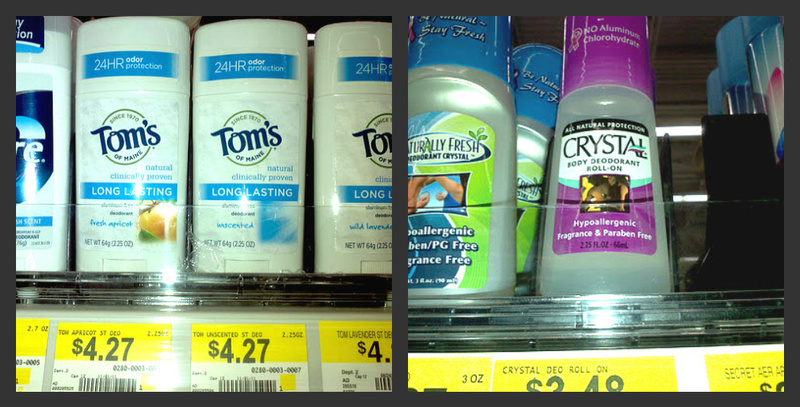 At first, I was disheartened, thinking that Walmart did not carry any natural deodorants. However, perseverance paid off, as I finally located a small selection way above my eye line, on the very top shelf of the section. I selected the Crystal Roll On, knowing my daughter would find the look of it appealing. I appreciated the price, as well the ingredients: Purified Water (Aqua), Natural Mineral Salts (Potassium Alum), Cellulose. My discovery feed my curiosity and I was inspired to explore the section for more natural products. Much to my surprise, I found a wide variety of natural products, from hair care, body treats and skin care, to acne control and lip products. I selected a variety of natural bath and beauty products for my daughter, myself and my family to try, feeling satisfaction in knowing I was making safe, healthy choices; not only good for my family, but better for the environment! 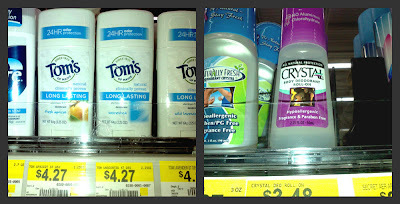 Explore the natural selections I discovered at Walmart via my Google + pictorial shopping trip. 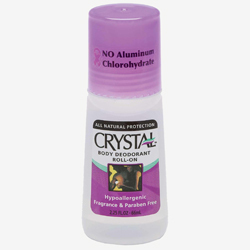 Both my daughter and I have been using the Crystal Roll On for two weeks. We both appreciate the ease and lightness of the roll on formula, as compared the the thick, chalky product we previously used. In regard to performance, we have both found it to work just as well, if not better, than our old, traditional deodorant. Even in the heat of competition in Florida, my daughter reported, Crystal performed wonderfully. In this season of family, reflection and the giving of thanks, I found myself filled with appreciation, both for the companies that produce natural products, but also that Walmart carries such a wide selection, making it easy for me to shop naturally. We love finding new ways to be kind to the Earth, kind to each other, as well as ourselves. I am thankful for learning about ways to keep my family and myself safer and healthier. This shop has been compensated as part of a social shopper insights study for Collective Bias. #CBias. 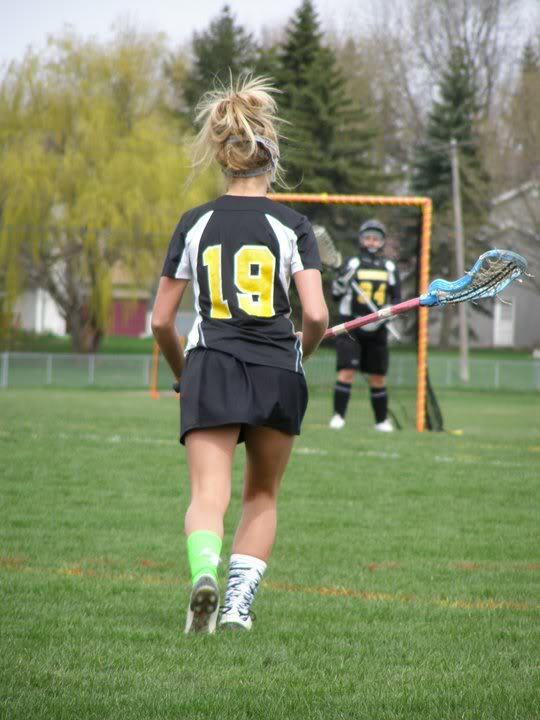 The opinions and experience above are both honest and my own. I love that Crystal helped you find even more natural products for your family - good for you for taking extra steps to ensure your health! 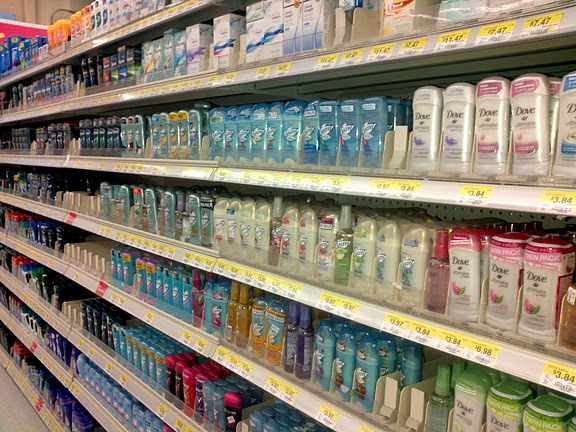 I did not know the concern about traditional deodorant, I will have to look into trying deodorants with out aluminum. I wish natural products weren't so expensive, then I would use them more. I've always been careful about what products to use and when my kids were in high school I took them shopping and educated them on reading labels of deodorants and the ingredients to avoid. Yea, natural is definitely great! I can't believe it's only 3.48; That's a great price for being so green! 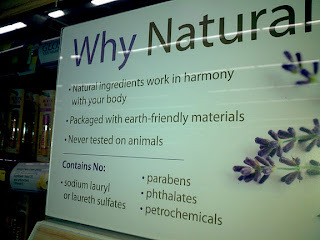 I also love that Walmart is starting to sell more natural products too! I really like that more natural products are being seen everywhere! !